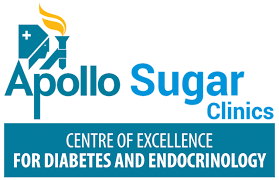 Apollo Sugar Clinic is a Diabetology Clinic in Greams Road, Chennai. The clinic is visited by doctors like Dr. T.S.Boochandran,Dr. Venkatraman S and Dr. Pratik Ranjan Sen. Some of the services provided by the Clinic are: Adult Diabetes,Insulin Treatment,Asthma Fever,Eye Surgery and Oculoplastic Surgery etc. Click on map to find directions to reach Apollo Sugar Clinic. I took my mother for consultation . She explained current problem and how to prevent recurrence . ***** ******* ********** I wish I had known her before.